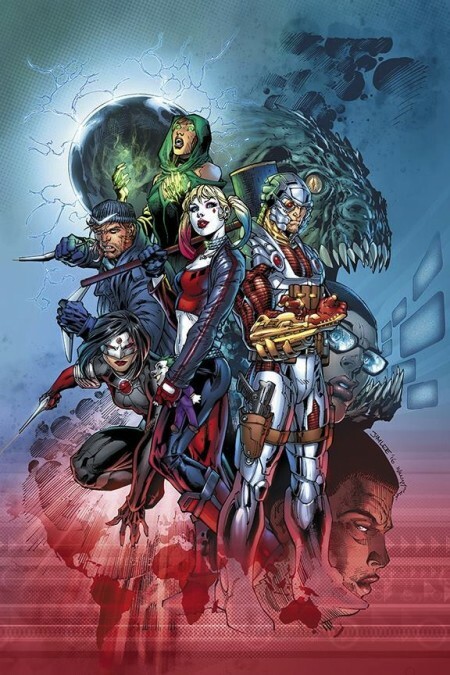 The award winning webseries, DC All Access, has reached the one million subscriber mark on YouTube, and on average is getting about half a million views per episode. So to commemorate this milestone, both Tiff and Jay will be hosting the first all-day live streaming event on Friday, the 2nd of September, from 9am to 5pm PST. But before that happens, here, check out what they got up to over the last two weeks. Last month at Comic-Con DC showcased their amazing trailer for next years Justice League movie. So, to keep things on an even keel, we thought it would be a good idea to come up with the top ten moments for The World's Greatest Heroes. Writer Steve Orlando discusses his reintroduction of Kara Zor-El to the DC Universe, just in time to tangle with an escaped Kryptonian werewolf. Trust us, it's a "howl" of a good time. In this episode we talk to the cast of this new all-age animated movie and check out an exclusive video clip. On top of that, Jim Lee previews a sequence from this month's Suicide Squad #1, Julie and Shawna Benson discuss Batgirl and the Birds of Prey, and we look at the new issue of Scooby Apocalypse. In this clip, we try our collective best to answer the following questions, related to the CW's hit series, DC’s Legends of Tomorrow. Who will be joining the team? How are our heroes dealing with the shocking events of the Season One finale? And what can we expect now that the Justice Society is joining the action? No need to leap through time to get answers, just watch! Whether you're a longtime fan or new to the world of the Emerald Archer, these are ten tales you're not going to want to miss out on. After all, Green Arrow never does! Grant Gustin, Carlos Valdes, Candace Patton, Danielle Panabaker, and the rest of the cast from the hit series, talk about what we can expect when they tackle the iconic 'Flashpoint' story-line in next season's Flash. Plus, Dan Jurgens discusses how Action Comics' current Doomsday story-line differs from the original opus, 'The Death of Superman'. In this clip, we talk to the cast of 'Hero of the Year', the first movie featuring the DC Super Hero Girls, whilst getting treated to an exclusive extract from the movie. Will the girls be able to save the day when Dark Opal and Eclipso attempt to harness the power of the school's amethyst? Watch to find out! Jay talks to writer Christopher Priest about what fans can expect from Deathstroke's new series, which heroes he'll be going up against, and how even in a world full of super humans, Slade Wilson always manages to stay out of prison. Our Tiffany talks to Megalyn E.K. about the return of Vixen’s hit digital animated series, coming soon to CW Seed. How's this for a task? Without loosing their heads, the guys and girls over at DC All Access have managed to come up with the aforementioned list of top ten moments from the Suicide Squad. BANG! Ops! Spoke too soon!